Are you looking for best Android OS for your Windows PC? If I ask you which Operating System your smartphone runs on? Then there are 80% chances of having an Android smartphone. Today, Android OS is the most popular and successful Android OS. We hear about Stock Android, Android One and Android Go. All of them comes with various Android versions. Android OS is known to be the best customizable, flexible and productive OS. Different Android devices come with Stock Android that means they will give you pure android experience. There will be no part of the smartphone manufacturer company. Android One was launched in 2014 at that time it was not so popular, but Today, brands like Nokia, Xiaomi, and Motorola have started their Android devices with Android One program. On the way, Android Go has introduced a few years ago. This is specially developed for low-end hardware specifications devices. Now, we have Android Go featuring Android devices from Nokia, Xiaomi, and Samsung. Though Android is open-source operating software, therefore, many brands like Vivo, Oppo, LG, Samsung, Sony, etc. I have introduced Android smartphones with modified look, functionality and UI. As of now, if you are an Android lover and want to run Android OS in your Window PC and looking for some best Android OS for Windows PC, then you have landed on the right article. Below we have listed top 8 best Android OS for PC. The below-featured list is an updated list of 2019. Make sure to read the below article completely not to miss any updates and important information. On the top of this list, we have the best Android OS for Windows PC called Remix OS. If you are going to have android experience first time on your Windows PC, then you must give it a try. 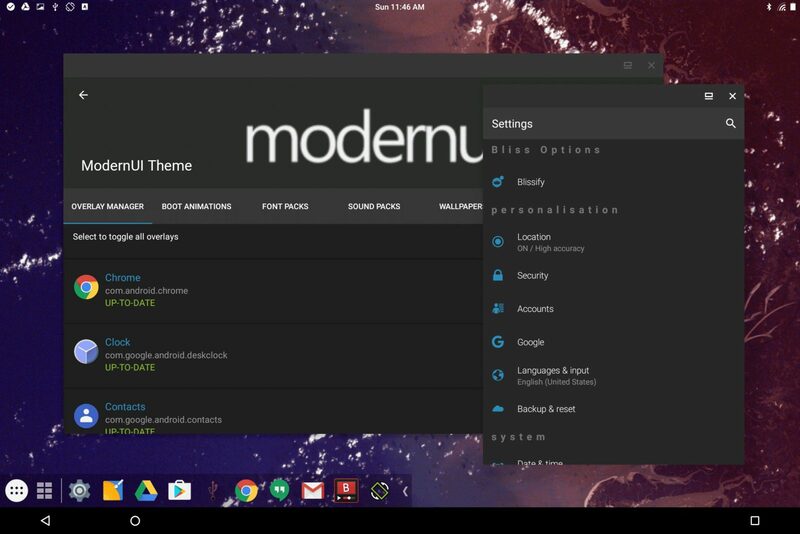 The Remix OS was introduced in early 2016 be the very well-known company – JIDE. You can install or apply it, what best you can say to have android on your Windows PC. However, the development of Remix OS has been discontinued now. 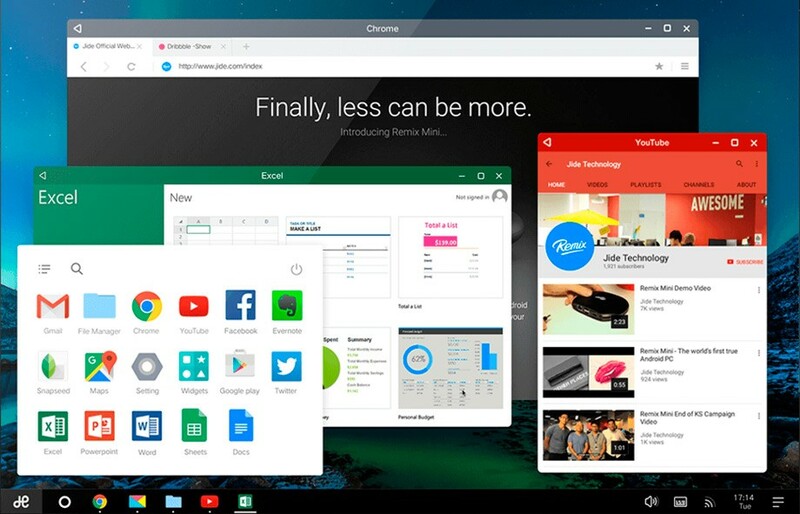 Remix OS was widely installed and used OS by the android lovers. You can download the Remix OS from below link. Next, we have Android x86 another best Android OS for Windows PC. This Android OS is one of the best Android OS you can try on your Windows PC to have a wonderful Android experience. Firstly, Android x86 was introduced as a patch to the Android source code. It was so successful and productive later it came back as an Android OS on its own. To run Google ‘s Android OS on processors like AMD and Intel x86, it was used to port to develop Android OS for them. You can download Android x86 from the below-provided link. Ever used a Chromebook? Yes! Then you must be familiar with the smooth performance, lightweight and straightforward yet productive interface of it. As we all know that Google’s Chrome OS is specially developed for Chromebook. Though, there are no builds introduced by Google that can be installed on Laptops. Thanks to the company Never-ware that took this project and introduced CloudReady OS which is based on Google’s Chrome OS. You can download it from below provided link. In the middle of this list, we have Lineage OS for Android lovers. The Lineage OS is the must download, installed and used OS on Windows PC. In the early months of 2017, Lineage OS first came in existence for Windows PC. On the first introduction, it was first on Android v6.0 marshmallow. 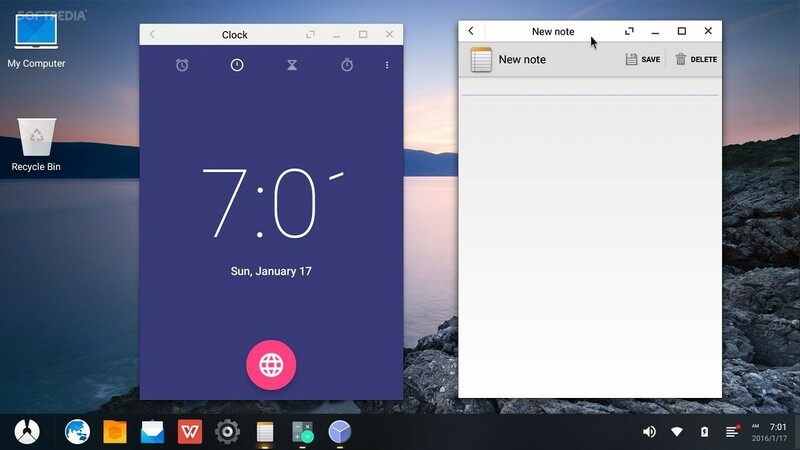 We came to see this open-source operating system in February 2018 as Lineage 15.1. 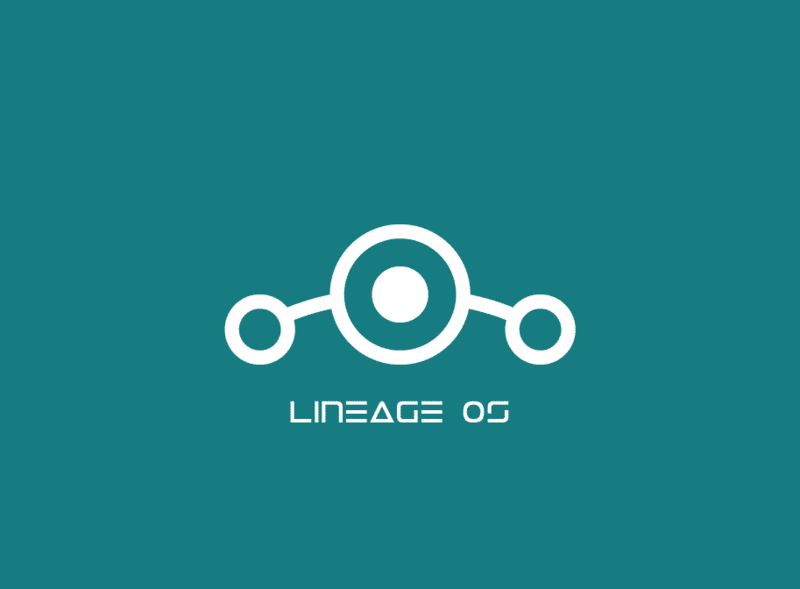 You can download Lineage OS from below provided link. 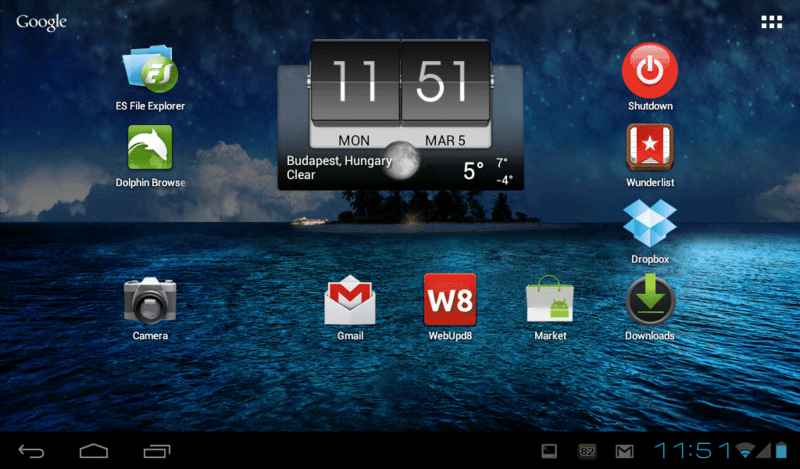 Next, in the list, Bliss OS is one of the most designed Android OS for Windows PC in this list. Bliss OS was firstly released in late 2017. When you apply it on your Windows PC, you will find yourself in the world of the best Android OS. The UI and interface of Bliss OS are impressive too. So, if you are serious about it, then you must go forward with Bliss OS. You can download it from below link. OpenthOS is entirely and only compatible with Windows 64 bit operating system and consistent with a processor like Intel x86 as well. For those who need some change in visuals of their Windows PC can give it a try to feel the Android OS on their Windows PC. You can download it from the below-provided link. Second last in this list, we have Phoenix OS. This Android OS was known to be the best competitor of Remix OS which is discussed above in the list. Pheonix OS is also compatible with processor Intel x86 based Windows PC. This is a must try Android OS for Windows PC users. You can download it from below provided link. On the last of this list but not the least, we have PrimeOS as one of the best Android OS for your Windows PC. PrimeOS is very popular under Android OS users on Windows PC. The interface and UI of PrimeOS is another plus point. It gives you an immense view and Android experience on Windows PC and Laptop. You can use its crucial making tool called DecaPro that let easily configure controls on your mouse and keyboard. You can download it from below link. Here we have the list of top 8 best Android OS for your PC of 2019. We hope this article helped you. Don’t forget to comment below guys if you know any other similar android OS for windows PC that must be listed here. Share this with your friends. Sharing is Caring. Techvictoria! !